Sometimes you need something with grip and stability, but without the bulk and weight of full boots. 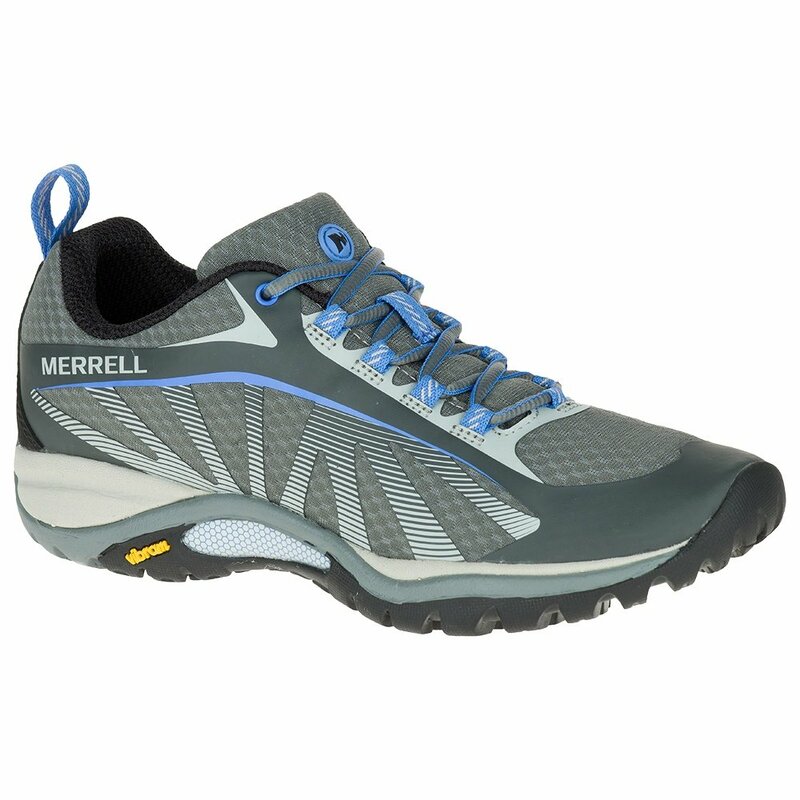 And that's where the Merrell Siren Edge Women's Trail Shoe comes in. The Vibram® outsole gives you traction you can count on, with multi-directional lugs to provide stable footing in any conditions. The M Select™ FIT.ECO midsole features a molded nylon arch shank for stability, giving you a cushioned ride while still delivering positive support. But up top, the lightweight mesh construction is reinforced with a 3D Print overlay for additional durability without the weight, meaning these feel and breathe just like your favorite sneakers. "How do the sizes run for these shoes? Do they run a bit smaller or true to size?" "These shoes will run true to size. "